Be still my beating heart, but more importantly, my thumping ovaries. 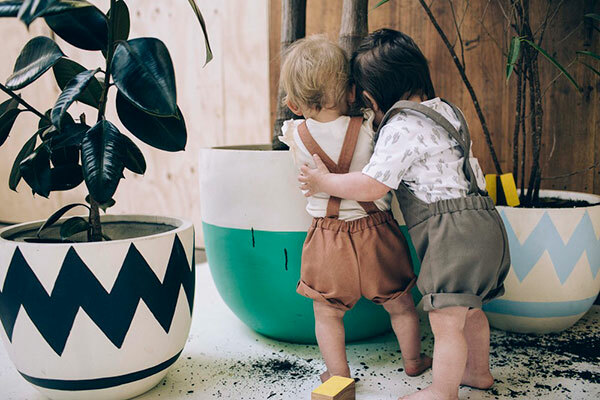 Prepare yourselves Babyologists, I’m about to flood this post with gorgeous images of stunning clothes and accessories handmade right here in Melbourne – and babies, oh the beautiful babies. Click on through to see this picture perfect match! 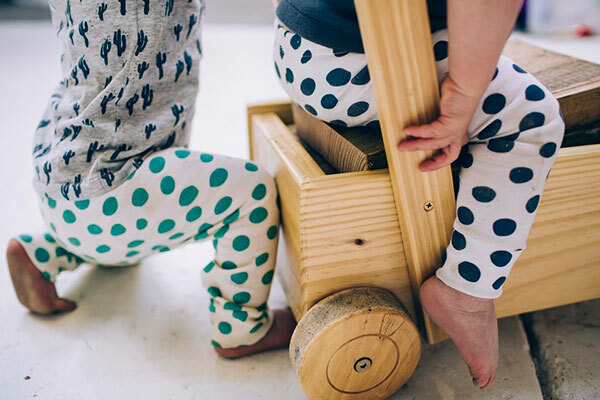 In designing a spectacular collection designed for children aged up to age three, local talent Fable Baby believes in delivering only the very best of garments. 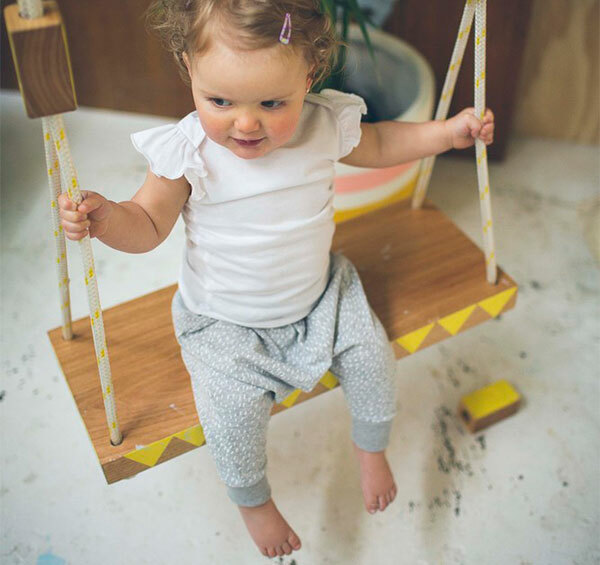 They’ve sourced the softest of organic and natural fabrics, screen printing carefully by hand to ensure your little person’ s wardrobe is kitted out with only the best quality gear. I’ve tried to keep my favourites to a minimum, after all, I can only cram so much into a single post. 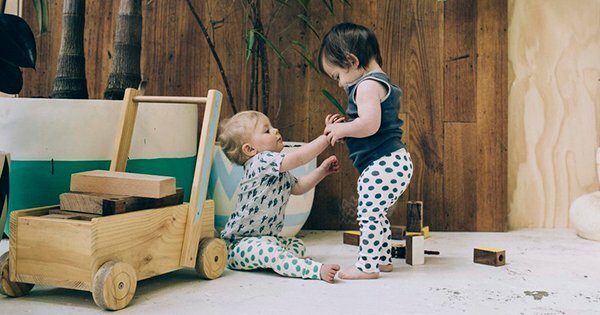 Let’s start with a baby wardrobe staple – leggings. Priced $49 and made from buttery soft and stretchy organic jersey, choose from navy, turquoise or grey spot. You can even find some rather awesome animal print leggings here. What summer baby would be without a onesie? I have a thing for all things grey, so it’s a given that this grey spot onesie ($55) has made it to my list. 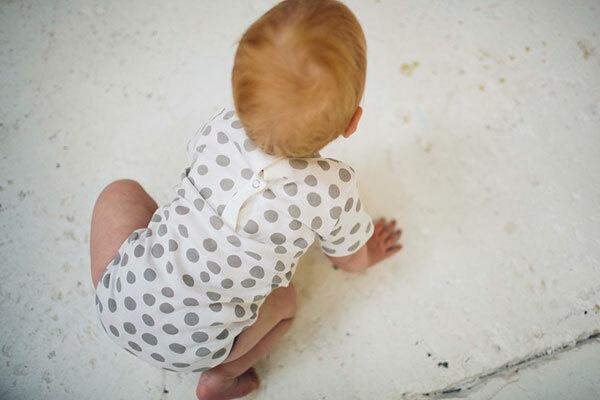 Snap buttons on the back of the neck opening and at the crotch make for ridiculously easy wriggling baby dressing. If ever you’ve tried to get a cloth nappy covered baby tush into a pair of pants, you’ll know it’s no easy task. That may all be not only forgiven, but forgotten with these slouch pants in white rain, priced $39. Plenty of room for a cloth nappy, plenty of room for cruising the carpet, I only wish they came in my size. Team the pants with an organic Frill Singlet ($39) for an ultra cool look. 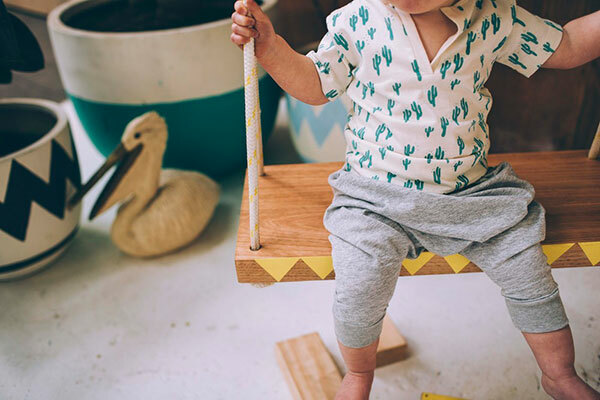 I must bow down before Fable Baby for their gorgeous placket tees are clever – they’re not only unisex, they look smart and have a beautiful shape – plus that placket style allows heads of all shapes and sizes to be easily guided through for no fuss dressing. I can’t see past a funky cactus, so the cactus tee ($45) wins my vote, closely followed by several others. 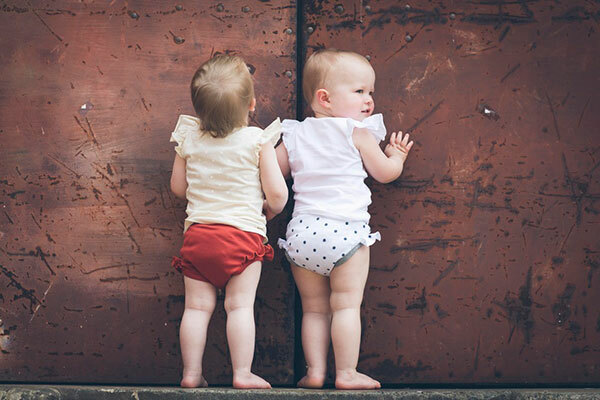 Fable Baby haven’t forgotten accessories either – bandana bibs ($19) are a practical accessory that also look great and I love the nappy pants, priced only $15 a pair, they’re perfect to slip over a nappy for days when it’s just too hot for full outfit dressing. Head to Fable Baby for an even bigger delicious dose of cute, plus more details and to purchase.